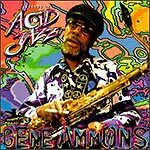 CD reviews: "Legends of Acid Jazz"
These reviews first appeared in the October 11, 1997 edition of the American Reporter. 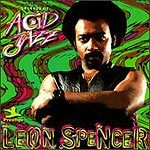 Acid jazz is no new thing, excepting the name. The basic concept of acid, marrying a dance groove to instrumental improvisation, goes back to the birth of jazz itself, and came full flower in the swing/big band era. But every generation needs to have its own name for the music, and so now acid it is with the addition of digital sampling. In its present incarnation, dance jazz can be traced back to the soul jazz of the '60s and '70s (and even funk outfits like the Ohio Players, War and Tower of Power). To that end, Fantasy Records is reissuing historic soul/funk jazz sides under the series name "Legends of Acid Jazz." Three of the first half-dozen in the series feature tenor saxman Gene "Jug" Ammons and organists Leon Spencer and Sonny Phillips. Most folks with even a passing familiarity with jazz know at least Ammons' name, if not his music. Spencer and Phillips will be unknown to all but the geekiest jazz fans. Too bad, and maybe these psychedelic-packaged discs will introduce the two keyboardists to a wider audience. In fact, the inclusion of Ammons in this series is a bit of a surprise as he was a pretty straight-ahead player. Fluid and accessible, sure  but hardly of the Les McCann school of soul jazz. Nor are the included selections among his more representative work. Spencer, however, has a very hip, soul-laden sound. There's a lot of Jimmy Smith in his playing  but try finding an organist of the last 30 years who doesn't sound like Smith. And Spencer actually outgrooves Smith, no easy task. Spencer's only weakness is a tendency toward the vacuous when choosing songs  let's face it, "(They Long to Be) Close to You" is venemous in its saccharine, no matter how you dress it up. Marvin Gaye's "Mercy Mercy Me" is similarly a lightweight (if classic) pop song. On the other hand, a meaty cover of The Meters' "Message From the Meters" is just about enough to make up for the above transgressions. 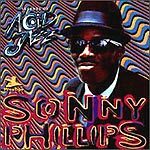 Phillips has a stronger funk influence in his music than Ammons or Spencer  he could give most of the top funk outfits a run for their money. Doubt that statement? Well, if you've heard Ike & Tina's cover of "Proud Mary," as well as the Ohio Players' instrumental version, then compare either or both against Phillips' and you'll be convinced.